GameStop seems to have gotten themselves into a bit of trouble. If not legally, at least among their loyal customers. On Wednesday the store offices contacted individual retailers asking them to remove all OnLive redemption codes from sealed boxes of the PC version of Deus Ex: Human Revolution. 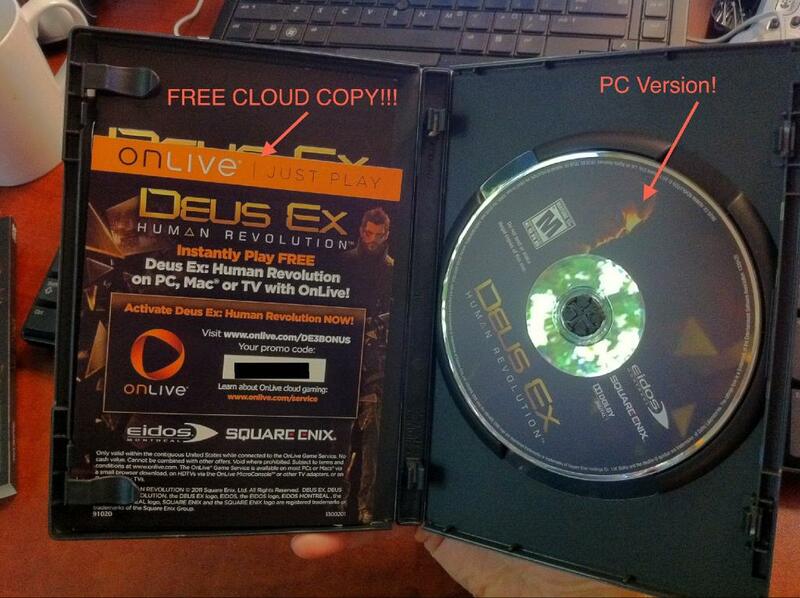 These redemption codes entitled gamers to a free copy of Deus Ex: Human Revolution for the OnLive cloud gaming service. The game sells for $49.99 on OnLive, so this code was in essence worth that same amount. Since hearing about the news, gamers around the world have become furious that a company as well known as GameStop would take such heinous actions against loyal customers. There are always two parts to a story though. GameStop claims that they informed their employees to open copies of Deus Ex: Human Revolution and remove the coupon, which included the free redemption code (seen below), simply because they were not made aware of the situation prior to the release of the game. GameStop claims that they did not know that the redemption codes for the free OnLive game were going to be included in the packaging of the PC version that they were selling. They say that the game’s publisher, Square Enix, did not inform them of the deal they had with OnLive. OnLive is a cloud video game service; one that has quickly gained ground in the gaming industry. They are set to go international with their UK release on September 22, 2011. This is apparently the reason why GameStop acted so frantically when they found out that Square Enix included free OnLive redemption codes in the game’s packaging. GameStop is set to release their own cloud video game service into public beta later this year. It is already being tested internally. GameStop feels that OnLive is competition, and they do not wish to allow their customers free access to a competing company’s services. While the removal of redemption codes have customers furious, one of the things that have gamers even more mad, is the fact that these games were unsealed, altered, and then resealed and sold as new. 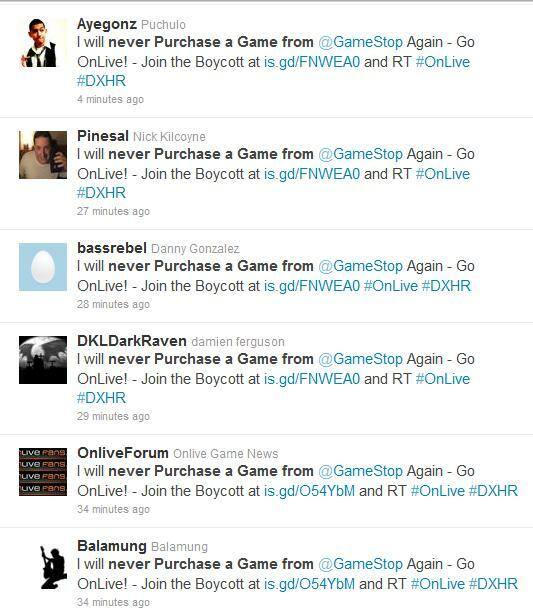 According to users on the OnLiveFans forum, what GameStop did, was not only unethical, but also perhaps illegal. It certainly appears as though what GameStop did breaks this rule. They definitely seem to have altered their merchandise and then claimed it to be “new”. Will a Twitter boycott attempt change anything? Who knows? It certainly may get the attention of those that matter, and perhaps make other companies think twice about doing something to this extent in the future.